Jane Lynch is throwing a party and she's inviting all her four-legged friends. You're invited too. Lynch is joining NBCUniversal Owned Television Stations' nationwide pet adoption initiative Clear the Shelters as both spokesperson and host of the “Clear the Shelters” TV special that will air on Aug. 25 on NBC. The program will recap this year's adoption campaign. NBC and Telemundo stations around the country have teamed up with hundreds of animals shelters and rescues to help clear the shelters. The fourth-annual event kicks off in August and will culminate on Saturday, Aug. 18 with Clear the Shelters day, when more than 600 participating shelters will waive of discount fees as part of the adoption initiative. For Lynch, her participation in the event is very personal. The Emmy and Golden Globe Award winner is a passionate advocate for pet adoption. Lynch has four rescue dogs of her own, including her two 11-year-old dogs — “Millie,” a Pit-Shepherd mix, and “Bernice,” a Cocker Spaniel. She also has a 1-year-old Cocker Spaniel named “Rumi” and 7-year-old "Arbuckle," an Australian Cattle dog that is social media star with more than 71,000 followers on his Instagram account @allaboutarbuckle. "I love the initiative," Lynch said. "I know they’ve helped find forever homes for so many animals over the life of this initiative and that’s a thrill for me as a big dog lover." If nothing else, Lynch hopes the initiative will steer families considering getting a pet toward shelters rather than paying for high-priced purebreds at questionable puppy mills. 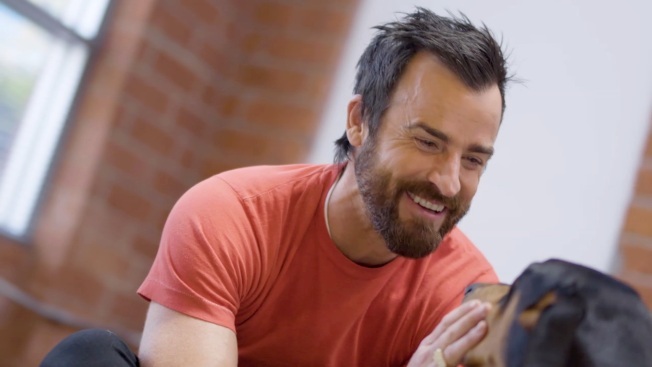 Singer Miley Cyrus, actor Justin Theroux, host Mario Lopez and actress Lori Loughlin share heartwarming stories with People magazine about their shelter pets. "Glee" star Jane Lynch also talks about adopting her first dog after filming the mokumentary "Best in Show." "There are just so many dogs on this planet that don’t have homes. Puppy mills … most of them ... they’ll discard puppies that don’t live up to their standards and often these pets will have multiple medical issues," Lynch said. "With a rescue dog, there's already a pet on the street looking for a home. There's just something about opening up your home to a rescue dog that's special." But Lynch does hope every prospective dog adopter is mindful of the tremendous commitment they're signing up for before embarking on this journey. The most important thing to know about training your new pup, according to Petco dog trainer Chloe Sternlicht, is that dogs respond best to positive reinforcement. So be patient when Fido makes a mistake and smother him with praise and treats when he get it right. Sternlicht gives some tips for getting your dog to respond to basic commands. "You need to sit down as a family and know you can do this," Lynch said. "Dogs need to be walked and loved and cared for. If you have other pets you need to make sure it's a welcoming environment. It's something you have to do consciously and not at the spur of the moment," she said. Lynch adds, "Well-meaning adoptions sometimes go wrong and the dog can wind up miserable if considerable thought doesn't go into this process. It has to be a conscious, thought-out decision." When you bring your new shelter dog home, there are a few things you should keep in mind. 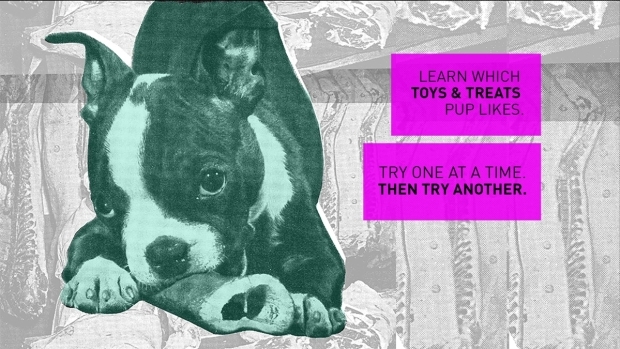 First up: learn how to read your pup's body language to know his or her mood.